Diane-Louise (D-L) Casson has extensive experience in higher education management, community development, and public health applied research. D-L was also honored when named a Trustee for Hobart and William Smith Colleges in Geneva, New York. She is now the SsAM representative to the Friendship House Board and Vice President of the Board. Before her retirement, she managed the W.K.-Kellogg-Foundation-funded “Philadelphia Urban Food & Fitness Alliance” through which African-American and Cambodian teenagers learned and used advocacy for increased access to healthy food and safe places to play. She designed and implemented the enhanced mortgage program and the approach for rehabbing 21 long-time vacant houses in the community neighboring the University of Pennsylvania. Under her leadership, 300 new homeowners were added to the neighborhood in 18 months and more than 100 existing homeowners received matching rehab funds. She held a senior management position responsible for the development of the one stop shopping Student Financial Services Office at Penn. Her responsibility was to ensure that all aspects of the merger of the four offices (and the 100+ staff) went smoothly including developing new job descriptions, reporting relationships, policies and procedures, and cross-training protocols. In her role as Associate Treasurer, in addition to managing the University’s cash, she negotiated many of the cost cutting contracts for ATMs, credit card fees and banking programs and was the primary liaison with Penn’s multiple banking relationships. At SsAM, D-L can be found answering phones and greeting people along with coordinating the ministries and developing the training for all the liturgical participants. 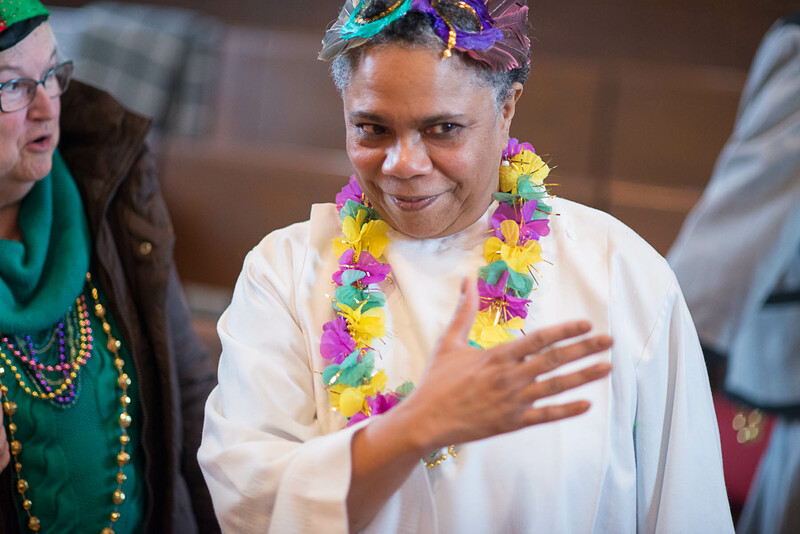 Most recently, she developed “Unfolding our Liturgy” as an informational and training piece for SsAM members. With a nudge from David Christopher, D-L has joined Delaware Choral Arts. On the Diocesan level, D-L was named Convention Secretary by the Rt. Rev. Kevin S. Brown.